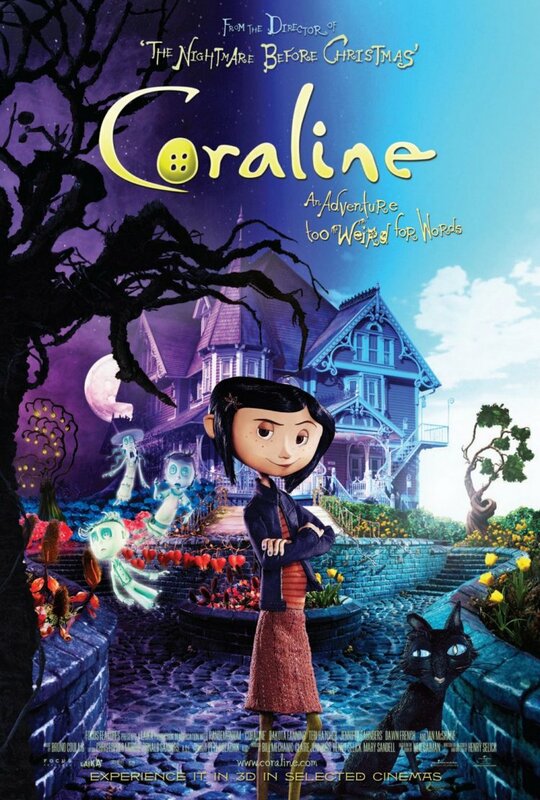 What It’s About: Coraline (Dakota Fanning) and her neglectful mother (Teri Hatcher) and father (John Hodgman) move to a creepy old house with bizarre neighbors: a mouse training Russian acrobat (Ian McShane) and two old “actresses” (Jennifer Saunders and Dawn French). The grandson of the owner, Wybie (Robert Bailey Jr.), gives Coraline vague warnings about the house, but Coraline disregards them. Soon Coraline is entering a duplicate of her own apartment, with duplicate parents that are more attentive and fun, through a tiny door in the living room that only opens at night. The only catch is that everyone in the “other” world has buttons for eyes…. Why Watch it Today? : Coraline and her mother shop at a President’s Day Sale for her new school uniform. Coraline is another excellent stop motion animated fairy tale from Henry Selick, this time adapting a book by nerd favorite Neil Gaiman. Where to Get It: Amazon, Android Market, iTunes, or Vudu; Netflix (rental only) or your local library. This entry was posted in 3D, Adaptation, Animation, Based on a Book, Coming of Age, Fairy Tale, Family, Fantasy, Indy, Movie of the Day, Stop Motion Animation and tagged apartment, Best Animated Film Nominee, buttons, Dakota Fanning, daughter, Dawn French, don't eat anything, door to another realm, father, Focus Features, Henry Selick, Ian MacShane, Interscope Communications, Jennifer Saunders, John Hodgman, Keith David, mother, mother-daugther relationship, Neil Gaiman, Teri Hatcher, They Might Be Giants, wicked stepmother.